Anand became runner up after a costly blunder in the last round against Ivanchuk in the 2 days 38 round world blitz championship. Despite a very bad 1st day, Anand showed a great come back in second day by winning games in row and catch up Ivanchuk by round 29. In the last round decider game, both Anand and Ivanchuk had 24.5 points with 1.5 points ahead of the nearest trailer. Anand was completely winning the game but overlooked a night fork by Ivanchuk , proving anything can happen in a 4 minutes plus 2 seconds increment blitz game. Anand is the classical and rapid world chess champion and world bliz runner up. At last my wait for this day finished. Anand played a super double round robin tournament in Mexico to come out clear winnerof the tournament and new World Chess Champion scoring 9 our fo 13 with 4 wins and 10 draws. He is the only undefeated player in the tournament. He played great chess here showing his deep preparation and spirit and defending nicely at bad times throughout this championship. Gelfand played a very nice tournament trailing Anand by a point at the finish but a last round victory by Kramnik ensured the equal 8 points for both of him and Kramnik and hence Kramnik became runner up in baclose score calculation. Its fun time now to enjoy for Indians. 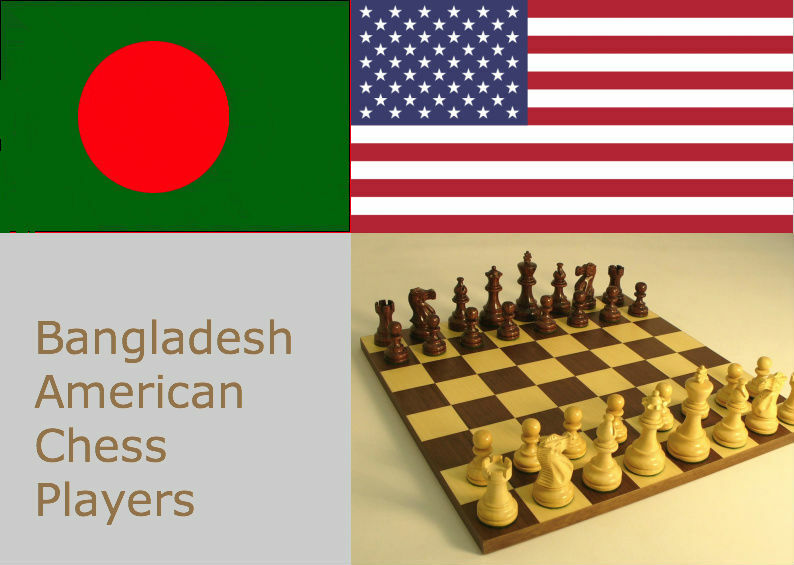 They have recently won the Tewnty20 World Cricket Championship and now the world chess championship. Congratulations to Anand! Enjoy the success. After a long wait, I will be able to follow a great encounter amongst the 8 strongest chess players in the world now. Yes, Mexico World Chess Champinship 2007 starts tomorrow. It will be category 21 double round-robin tournament. Here is a table that details the participants. Well, I have been waiting to see Anand to be the champion of the chess world. However in recent years the championship has been captured by Kramnik and Topalov instead. This show is the best and probably one of the last few chances of Anand, considering his age, to prove his supremecy once again. The various online polls show Anand as top favorite closely followed by Kramnik. In fact, in a recent interview kasparov nominated Anand as the clear favorite. However, Kramnik is in great shape and Aronian is the other contender for the crown with a good result against both Anand and Kramnik. The other five participants are also capable of making good results in any event. It will be a memorable battle amongst all of them. Courtesy to Susan Polgar's Blog, here is the official link to watch the games live in action. Here are a few more articles on this. Yes, Anand is still the best rapid chess player. He has won the final against Aronian with a black piece win in the 4th game to take revenge of the loss in Chess960 final against him just a few days back. Now all the eyes on Mexico Classical World Chess Championship. Go Anand, go! Here is what Anand remembers about his Rapid World Championship Titles during last one and half decade. The Candidates Matches for the 2007 World Chess Championship Tournament was held in Elista, Russia, from May 26 to June 14, 2007. A total of 16 candidates played two rounds of six-game matches to fill four places in the 2007 World Championship in Mexico City. The prize fund was US $40,000 per match, most of the money ($320,000) coming from a personal fund of FIDE President Kirsan Ilyumzhinov, FIDE ($160,000) and the general sponsor, Rosenergomash. In the most excitng competition of round 1, Aronian and Carlsen faught head to head until Aronian won the last 2 tie blitz games to score a 7-5 win when the classical games drew at 4 draws and 1 win each. leko outplayed Gurevich the same was as Kamsky demolished Bacrot (3.5 - 0.5). Rublevsky defeated Ponomariov and Bereev defeated Polgar by 3.5 - 2.5 margin while Grishchuk comfortably overcame Malakov (3.5 - 1.5). In the other tie-breaks of Shirov vs Adams and Gelfand vs Kasimdzhanov the outcome was identical 5.5 - 3.5 in favor of Shirov and Gelfand respectively. 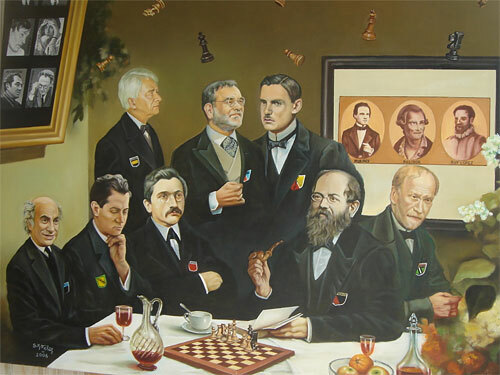 Now we will be looking forward to Round 2 fights that will decide the rest 4 World Chess Mexico 2007 participants. Aronian vs Shirov - I am expecting a very interesting battle. Grishchuk vs Rublevsky - I think Grishchuk will win. Gelfand vs Kamsky - My bet is on Kamsky. Leko vs Bareev - I am quite sure about Leko. The first round of the candidate matches resulted in many colorful and fire-packed games, a few real blunders (from among which many were made in the longer-time-control games), several good combinations, interesting rook sacrifices, not too many draws and a friendly atmosphere among the players, audience and officials. The outside temperature was high and on many boards there were heated-up struggles in the main playing hall, too. The overall quality of the games is good and the excitement created by the arrangement of bringing all candidate matches into one place pleased most of the local and Internet spectators. On the Internet, the average number of daily visitors reached the sixty thousand level. The traditional Linares tournament, which since 2006 has been split in two halves, started 17th February at the state theatre in Morelia, Mexico. Eight participants are Topalov (2783), Ivanchuk (2750), Leko (2749), Morozevich (2741), Svidler (2728), Carlsen (2690), Anand (2779) and Aronian (2744). The official web site is so slow that I opted out for ICC Chess.fm live broadcast and analysis as well follow-ups on Chessbase, Chess Ninja, Susan's blog, Chessvibes and blog on Carlsen. I am particularly happy to see Anand coming back with great spirit showing his class after last 2 consecutive wins against Morozevich and Carlsen. I wish Radjabov would play the tournament although Ivanchuk is no less attractive replacement to him. As of my writing now, round 5 is going in full swing where Topalov seems to have tied down Carlsen strongly. Update: After 7 rounds that conclude the first half in Moreila, Anand and Carlsen are leading with 4.5 points each. Update: Until 9th round Anand was leading with Carlsen and then today at 10th round Anand again defeated Carlsen with a brilliant knight sacrifice, which folks there were not sure whether really winning. However Carlsen understood better and refused to take the knight and played a series of good defensive but couldn't avoid defeat. Update After Round 12: Anand drew with Aronian to lead the table with 7.5 points. Carlsen is closely following him (7.0) after today's draw with Topalov. Svidler defeated Leko to trail Carlsen with 6.5 points putting Leko in the bottom of the table alone. Morozevich defeated Invanchuk to make the playing ground even for both of them coupled with Topalov at 5.5 points. Chessbase got a new look today. Final Update: Anand won Linares/Moreila 2007 with 8.5 points, a full point ahead of Carlsen and Morozevich. One good thing is that Anand is going to be the highest rated chess player in April's FIDE rating list. He has been consistently the #2 or #3 player in the world last 10 years following mainly Kasparov and sometimes Kramnik and Topalov. I wish Anand becomes the world champion this year in Mexico. Here is the final standings. USCF has provided an excellent tool for its members to analyze their tournament records. Its a software named MSA that allows you to see your performance chart, number of games against all the players in USCF rated tournaments. Its free for personal use. I downloaded it in my desktop and here is my perrformance chart. You may download it from here. Develop Chess Vision. Its a less discussed topic in chess and Michael did a good job bringing it front. However, he over-emphasized it. I can never imagine finding time to go through the chess vision drills that the author was talking about, because that time can be better utilized in other areas of chess improvement. Well, may be I think so because I am already a strong Class B player. But for someone who has time and is a Class C or D level player (or lower), it may be of use. My opinion for class C or D level players would be to try a few hours with queen and knight and ignore the rest, certainly not 2 or 3 weeks. You better use that time studying end games. Study and practice chess Tactics as much as possible. Tactics is the heart of chess. I can think of studying chess as learning tactics and learning strategy. Michael emphazied tactics over strategy until someone is an Expert level player. This emphasize is correct to some extent, however, not making someone completely ignorant about Strategy. I thank the author for emphasizing tactics and crticize the author for consdering learning strategy as waste of time. I can't imagine how I would be able to get a complete appreciation of chess without reading a book like Nimzowitch's My System. Use CT-Art 3.0 to sharpen up your tactics and follow Seven Circles program. Any program that teaches you tactics, gives lot of tactical puzzles will do. In fact, I decided to buy Fritz 10 instead of it. However, as CT-Art is specially focused on this area, its really worth. Now whether you will follow author's unique invention of seven circles or you want to go your own way depending on your schedule, profession, life style is upto you. Seven circles is, no doubt, a good way to go if you dont want to create a schedule yourself. I used to solve chess puzzle books earlier that contained lot of combinations and that also worked well in my early chess endevours. Still, I give credit to Michael to make it straight forward by putting a calculated discipline in this process of learning tactics. Now about the rest of part of book, its written in an inspirational way which may make bring you back to the chess board even if you gave up playing chess for a while. However, most of them are not fact, these are like opinions, guesses, hopes etc. The way he talks about only to look for next 3 or 5 move possibilities for traps, tactics etc makes me think that every move is a chess math and a player is a chess machine who doesn't know or see larger view of chess as a game. The authot constantly says you dont need to learn anything other than tactics, which is so wrong. About opening, we know that its true, we only need to understand a handful of opening ideas but I can't accept misguiding average chess players to hold them of learning end games and chess strategies. The claim of gaining 200 or more rating points are too much to guarantee follownig Michael's recipe of rapid chess improvement, although its not atypical of weak players gaining rating points quicky as they learn chess more. Studying tactics relligiously will make a player's rating improve a lot but a rate of improvement can't be guaranteed like what Michael is claiming. I think these portions of the book made Silman say in this critical review of this book at http://www.jeremysilman.com/book_reviews_js/js_rapid_chess_improv.htm as criminal and ignorant. Even though I disagree with Michael's vision to chess as a move by move mathematical puzzle only, I am happy that this book is around. I would give this book 3 stars unless the author would fill soem of the pages with unnecessary contents and some misleading messages other than the emphasize on chess. Its certainly not among the very good chess books, however, for weaker and busy palyers, the re-wording of practice tactics again and again will be really helpful. I can definitely say I didn't learn anything new reading this book accept knowing the name of CT-Art 3.0 as a good tactics trainer which inspired me to decidde that I will buy Fritz 10 soon. After playing around with Fritz for a while if I find Fritz can't be configured to give me tactical puzzles, I will purchase CT-Art 3.0 as well. A few references for your own exploration.